Need to admit another slight obsession of mine, faux fur. So it's always great to break out my mini collection of items/buy new upon winter's arrival. I love this look! So chic! Really loving the camo! 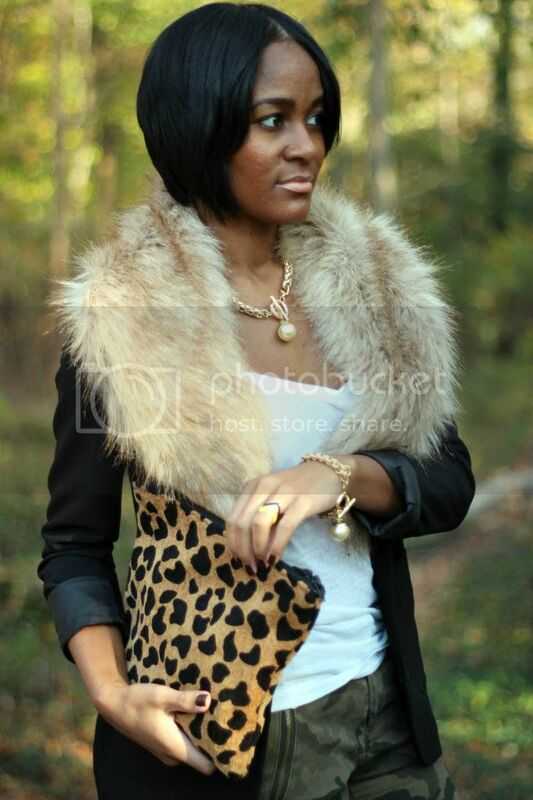 The faux fur just makes everything so much more chic! LOVE it! Loving the colours in this post - so cute! OMG this is hot! I think I am gonna have to do something like this with my camo/blazer.. So pretty!! and great place for photos. Love this! Gonna need to start wearing my faux fur soon! love it, fab fab fab!!! 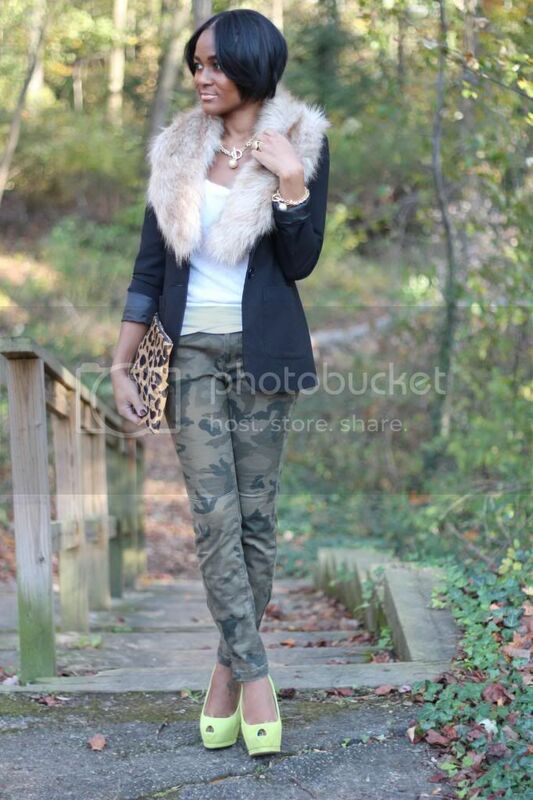 so pretty loving those pants and the mix of prints and fur!! The blazer / stole pairing is SO glamorous! Love this look! Gorgeous!!!! Live has you added the fur shug I so want one!!!! I love this; every detial is perfect (camo, fur, neon, etc.)! I love the entire look! Hit the nail on the head!